Enjoy FREE SHIPPING on all items when you add a Tsugaru Shamisen to your cart! We carry shamisen for all levels. Every instrument is quality guaranteed! 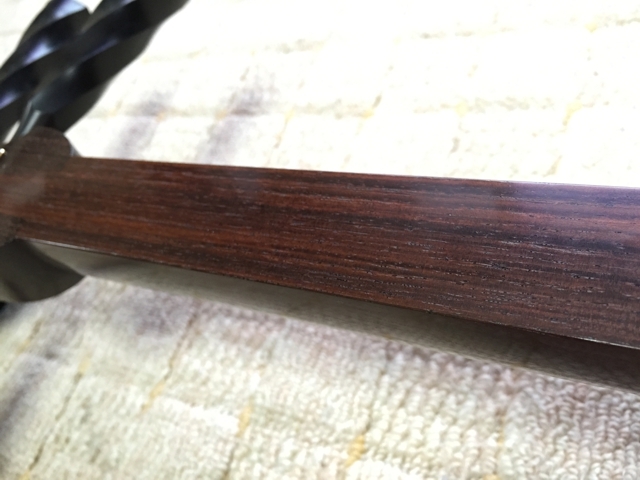 This high quality shamisen is crafted with the perks of an expensive kouki shamisen, but at a lower price because it’s made with Karin wood (which is more widely available than Kouki). 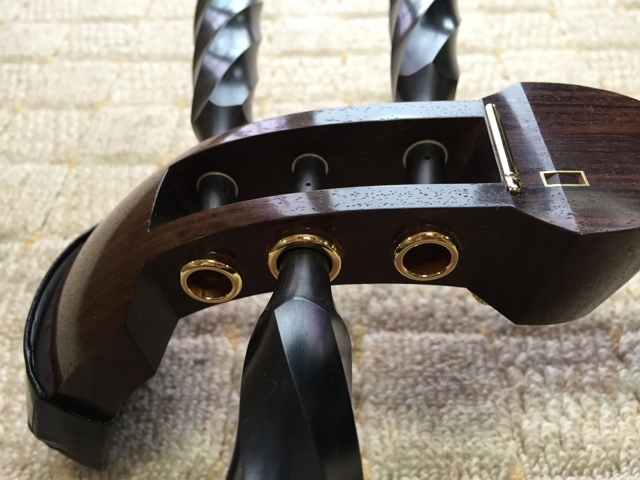 It includes a natural head for superior sound quality, an azuma sawari to adjust the amount of vibration to the first string, and a mitsuori neck (which means it can be separated in three pieces). Note: Being a natural material, natural skin always has a risk of rupture due to environment and integrity of the skin. Because there is no way of knowing the long term strength of the skin, we can only offer warranty if the skin ruptures during shipping. Warranty is void if a skin ruptures after delivery, even 10 minutes later. Thus, choosing synthetic Fibersen is recommended. This set is assembled to give the most enjoyable shamisen experience for the Mid-Range buyer. Includes: (TSY-1) Tsugaru Shamisen fitted with Fibersen, Pack Case, Faux-Bekkou Bachi (shown as Plastic Bachi in picture), Bamboo Koma, Leather Doukake, Yubikake, Bachido Saofuki, Washi Bag, Dou Gomu Shi-ru, Pitch Pipe, Ito Set. Let’s say you’re ripping away on an original Avant Garde piece, taking the melody to new highs. Life is great at this point. Every note you strike is precise and nothing can stop you, so you decide to kick it up a notch! Higher and higher you climb the fingerboard. You’re just so hot right now, the shamisen strings are starting to smoke and faces are melting! Oh no! But what’s this? You want to play even higher but you’ve reached the end of the sao! For this, Masahiro Nitta has designed the No Limits Shamisen. The neck extends all the way to the dou, giving the clearest tone and allowing you complete freedom to unleash your creativity. Don’t be held back by anything. When you’re playing shamisen, there are/is No Limits. This shamisen is made from Shitan wood, which is higher quality and heavier than Karin wood. This tsugaru shamisen is made from high quality kouki wood, considered superior to both Shitan and Karin wood. 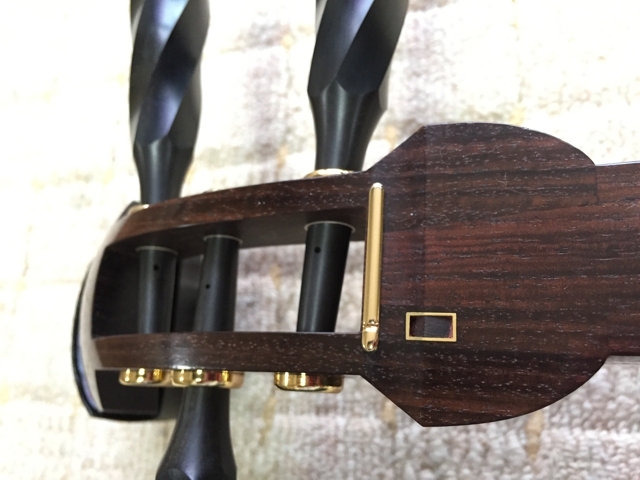 The high cost is due to the extremely limited availability of new kouki wood. 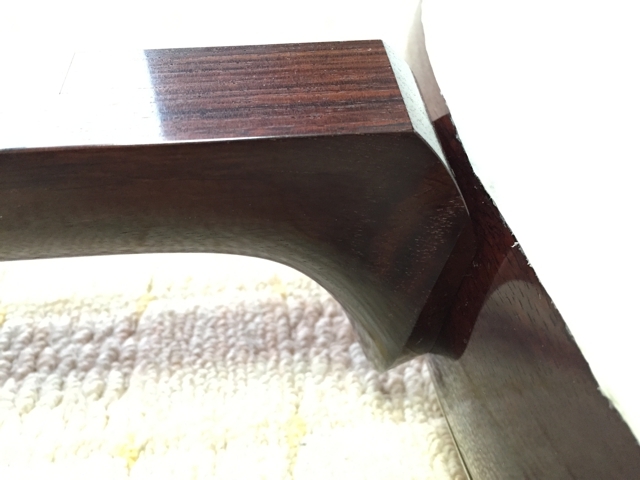 Shamisen Specs Kouki wood, Natural skin, Mitsuori, Azuma Sawari installed, Kinbozo (gold fittings) installed in Mitsuori joints. Tsugaru Shamisen can be very expensive, so if you want to start learning shamisen more economically, consider the Beginner's Shamisen. It's made in Japan, sounds great and very fun to use. Check it out! 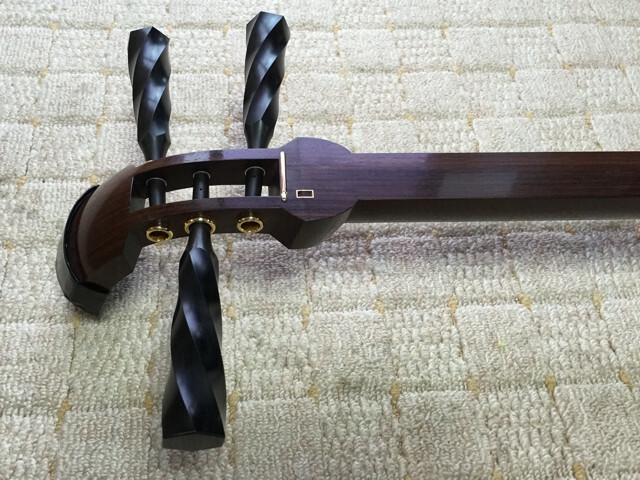 Though the shamisen is such an awesome instrument, we all know that it’s long neck can make it less than ideal for taking on a trip or casually playing in a comfy chair. The KoShamisen has all the qualities we love about shamisen, but at a smaller size, it’s a delight to take anywhere you go! Meet the KoShamisen. Designed with a perfect half-size sao and a natural skin, you can get an authentic shamisen sound with a size convenient enough to take hiking or on the road. 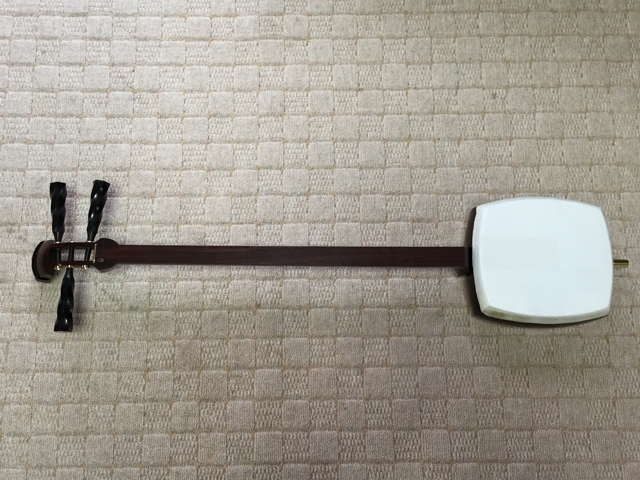 Note: This is not meant to be a kid size shamisen, but it is a perfect way for kids to get started playing, or for arthritic people who have pain when lifting their arm up that much. The regular KoShamisen is still too big for your tote bag? No problem! The KoShamisen Mini measures 25" in length and can easily be taken on any adventures you set forth on! The KoShamisen Mini also makes a lovely decorative and playable display piece. I keep this on my desk to admire and remind me why I love shamisen so much. The Sanshin is the Okinawan cousin of the shamisen. It has a warm earthy tone, making the Sanshin a very relaxing to pluck on the front porch or while reclining on the sofa in the evenings. The Sanshin Set includes everything needed to start playing Sanshin! Also, if you would prefer an instrument without skin, the Gottan is a shamisen-like instrument with a warm, rich woody tone! The Gottan is a folk instrument coming from the southern area of Japan. It is played with fingers and has a warm and gentle sound. It is made completely of wood and no skin is used.